Female fronted electronic pop metal, the perfect blend of heavy guitars, synths and sensual, in your face vocals with contagious hooks riding the edgy of something dangerous, dark, beautiful and chaotic. Otto's Daughter's sound and style has always been a unique blend of dark and light, slightly off beat, underground with a spoonful of mainstream, blending elements of industrial, electronica, disco, punk, metal and pop. 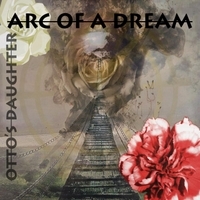 ARC OF A DREAM marks a new chapter in OD land. While the first half of the album is more polished, due to working with producer Erik Ron, the second half (starting off with "My Own Worst Enemy") is completely self produced, more raw and experimental, going back to the roots. This album has been a work in progress for a long time; it was important for both, singer/songwriter Jacqueline van Bierk and guitarist Jim Robbins, to truly believe in the album and not just put it out there to have it "out there". The original title of the album was "Living The Dream Deluxe", an extension of the previously released EP "Living The Dream" but it was clear that the title no longer fit the concept and ARC OF A DREAM revealed itself. Be prepared for a fun journey, full of dreams, hope, lust, ambition, loss, angst and rage. An emotional rollercoaster, a beautiful disaster. WELCOME TO THE WORLD OF OTTO'S DAUGHTER. Enjoy the ride.